the problem area is the smaller CD's which won't fit to apple CD drive. It is a big problem dear, Now a days many companies are launching their drivers in small CD format. Keep it up. 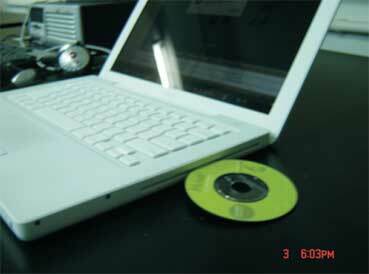 Small CDs wont fit into Apple MACs.Techo. Problem and bad design. ah ateast ur at the point...how can Apple Macs sell such sys without prior knowlege...they have launched i guess...so rectify the mistake....and allow to use the samller CD roms..